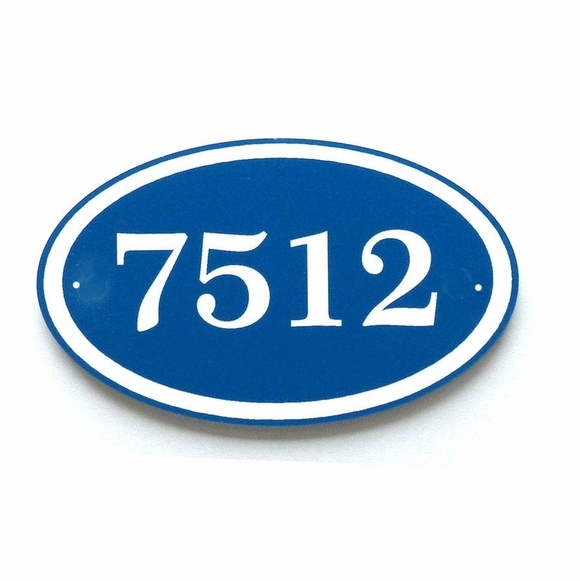 Our personalized address number plaque holds two, three, or four large numbers or letters. Made in USA. Fast turnaround; ships in 1-2 days. Made from sturdy and UV-stabilized 1/8" thick laminated acrylic with engraved numbers. Dimensions: 9"W x 6"H x 1/8". Comes with two 3/16" diameter fastener holes and mounting screws for wall mount or lawn mount with purchase of an optional lawn stake. Please note that the image preview is only a rough representation of the finished product. Refer to main image for how a finished product will look and for the actual font that will be used.